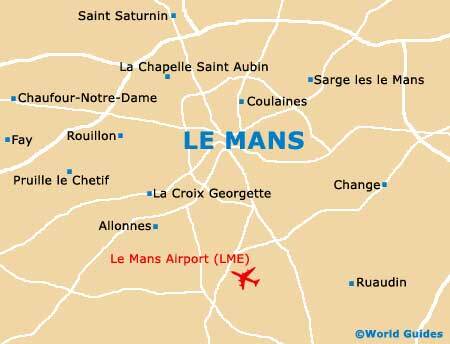 The city of Le Mans is best known for its motor racing events, particularly the legendary '24 Heures du Mans', held every June. There are also a host of other racing events, which take place in the spring and summer at Le Mans' famous circuits. Le Mans also holds many impressive festivals and other celebrations, which are often crowd-pullers and offer plenty of things to do. Many of these events have a cultural theme, featuring music concerts, theatre and circus shows.